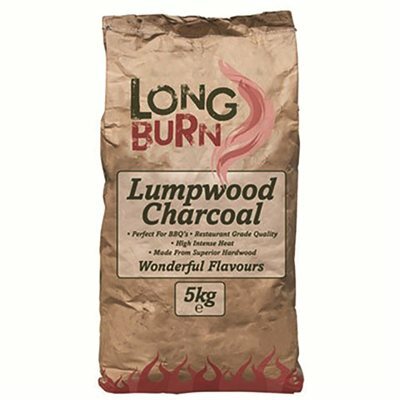 Longburn lumpwood restaurant grade quality charcoal 5KG. An intense heat is produced for superb cooking. A natural, long burning charcoal for best barbecue results. Made purely from Superior Hardwood.